Today I mowed the lawn. We have nine acres, but fortunately only about two or three of the acres need mowing. I have a wagon that hooks to the riding mower where I can pull the kids behind while I mow. I had two kids in the cart and one on my lap. Multitasking for the win! 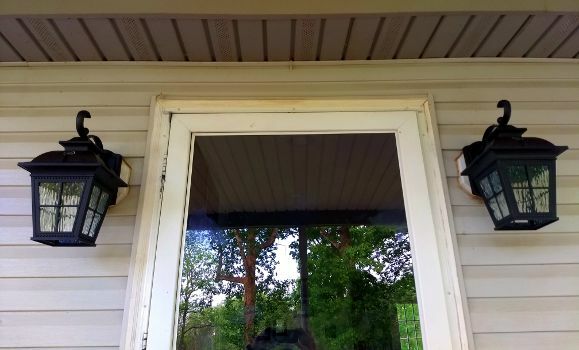 Afterwards, I installed new sconces on our front porch. They were always a little wonky, but one quit working and the other fell off during an especially violent storm we had several weeks ago.